Some endophytic actinomycetes (120) were isolated from the roots of Alpinia galanga. Identification of these endophytes was based on their morphology and amino acid composition of the whole-cell extract. Most isolates were classified as Streptomyces sp. 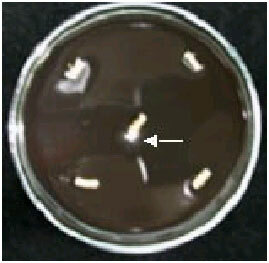 (82), with the remainder belonging to Nocardia sp. (11), Microbispora sp. (3) and Micromonospora sp. (2). Eight isolates were unclassified and 14 were lost during subculture. The strain identified as endophytic Streptomyces sp. Tc052 strongly inhibited test microorganisms. This endophyte was cultured, the agar was extracted with organic solvent and the extract was purified on a column of silica gel to give a major component, which was identified to be kaempferol, isoscutellarin, umbelliferone and cichoriin on the basis of spectroscopic data. These compounds together with the extract were tested for their antimicrobial activity against bacteria and yeast using micro-dilution methods for the determination of Minimum Inhibitory Concentrations (MIC) and Minimum Microbicidal Concentration (MMC). The MIC values obtained with the crude extract varied from 64-128 μg mL-1 against tested microorganisms. All the isolated compounds showed various activities. Most plants are host to one or more endophytic microorganisms. By definition, these organisms live between the living cells of their respective host and cause no overt tissue damage. Usually, fungi are the most commonly isolated endophytic microorganisms, but recently the endophytic actinomycetes were isolated from the tissues of healthy plants (Shimizu et al., 2000; Castillo et al., 2002). Some endophytes produced antimicrobial agents that may be involved in a symbiotic association with a host plant (Ezra et al., 2002; Castillo et al., 2003). We have recently isolated endophytic actinomycetes from 36 plant species. The most prevalent group of isolates were the Streptomycetes sp. occurring in 6.4% of the tissue samples of Zingiber officinale. Some of the isolates showed strong antifungal activity (Taechowisan et al., 2003). In a separate study 59 endophytic actinomycetes were isolated from the roots of Z. officinale and Alpinia galanga and tested against some phytopathogenic fungi. The strain identified as Streptomyces aureofaciens CMUAc130 showed the most effective antifungal activity (Taechowisan and Lumyong, 2003). The major active ingredients from the culture filtrate were identified as 5,7-dimethoxy-4-p-methoxyphenylcoumarin and 5,7-dimethoxy-4-phenylcoumarin (Taechowisan et al., 2005). We report here the active constituent isolation from the roots of Alpinia galanga Swartz (Zingiberaceae) of another Streptomyces sp. Tc052. Extraction of the culture medium of Streptomyces sp. Tc052 afforded kaempferol, isoscutellarin, umbelliferone and cichoriin which displayed very strong antifungal and antibacterial activities. Isolation of endophytic actinomycetes: Five hundred samples of the root tissues of Alpinia galanga were collected from the environs of Nakorn Pathom, Thailand, during the period April 2005-March 2006. Most of them were healthy roots. The samples were washed in running tap water and cut into small pieces of ca. 4x4 mm2. Tissue pieces were rinsed in 0.1% Tween 20 for 30 sec, then in 1% sodium hypochlorite for 5 min and then washed in sterile distilled water for 5 min. Next the tissue pieces were surface sterilized in 70% ethanol for 5 min and air-dried in a laminar flow chamber. Finally the pieces were transferred to dishes of humic acid-vitamin (HV) agar (Otoguro et al., 2001) containing 100 μg mL-1 nystatin and cycloeximide and incubated at 30 °C for 1 month. The colonies were inoculated onto International Streptomyces Project-2 (ISP-2) medium (Shirling and Gottlieb, 1966) for purification and stock cultures. Antifungal activity of the actinomycetes isolates against fungi, yeast and bacteria: The fungal pathogen Colletotrichum musae, the causative agents of anthracnose of banana (the representative of hyphal fungi of plant pathogen), was used for screening antifungal activity. This fungal pathogen was obtained from Dr. Wipornpan Photita, Department of Plant Pathology, Faculty of Agriculture, Chiang Mai University, Chiang Mai, Thailand. It was grown on Potato Dextrose Agar (PDA). Mycelial disks of 8 mm diameter were cut from the pathogen colonies and transferred to the ISP-2 plates and positioned 6 cm away from each pre-grown actinomycete colony. For antagonistic action to Candida albicans ATCC90028 (the representative of budding yeast of human pathogen), the yeast was cultured in ISP-2 broth at 30 °C for 24 h; the cells were diluted to 105 cells mL-1 in soft agar and then were overlayed on pre-grown actinomycete colonies on ISP-2 plates. For antibacterial activity, we used the solid media bioassay test against Staphylococcus aureus ATCC25932, Escherichia coli ATCC10536, Pseudomonas aeruginosa ATCC27853 and Bacillus subtilis ATCC6633. After incubation of the selected actinomycete strains for 7 days at 30 °C on ISP-2 plates, an agar disk was recuperated and placed on nutrient agar plates covered by 3 mL of top agar containing 105 cells mL-1 of bacteria test stains. The plates were incubated at 30 °C for 5-7 days (for C. musae) and for 24 h (for C. albicans and bacteria). The width of inhibition zones between the pathogen and the actinomycete isolates was measured. Identification of endophytic actinomycetes: Isolated actinomycetes were observed for their morphological and biochemical characteristics. For morphological characteristics, presence of aerial mycelium, spore mass colour, distinctive reverse colony colour, diffusible pigment, sporophore and sporechain morphology were recorded after 10 days incubation on ISP-2 medium. Diaminopimelic acid isomers and sugars from whole-cell extract were analysed for chemotaxonomic studies (Becker et al., 1964; Boone and Pine, 1968). Extraction and purification of active compounds: Among the 120 isolates of endophytic actinomycetes, the isolate Tc052 was found to be the best producer of antimicrobial substances. This isolate was selected for extraction and purification of the secondary metabolites. Spores of Streptomyces sp. Tc052 were used to inoculate 250 plates of ISP-2 and incubated for 14 days at 28 °C. The culture medium was then cut into small pieces that were extracted with ethyl acetate (3x300 mL). This organic solvent was pooled and then taken to dryness under rotary evaporation to give a dark brown solid (5305 mg). The solid was separated by column chromatography using silica gel 60 (Merck, 0.040-0.063 mm) and CHCl3:MeOH (20:1, 20:2, 20:3, 20:4 and 20:5) as the eluent to give active fractions, A-4 and A-5. Antimicrobial screening: Quanlitative antimicrobial screening was carried out using the disk diffusion assay as described in the protocols of the US National Committee for Clinical Laboratory Standards (1997). A single colony of C. albicans and bacteria was cultured overnight in 10 mL Sabouraud broth (SB, for yeast) and nutrient broth (NB, for bacteria) at 37 °C; after 12 h incubation, 0.5 mL of the culture suspension was added to 4.5 mL pre-warmed SB and the solution was incubated at 37 °C to obtain cultures in the exponential phase of growth. The crude extract and purified compounds to be tested was dissolved in methanol (1 mg mL-1) and 50 μL was applied to sterile (6 mm diameter) paper disks (Advantec, Toyo Roshi Kaisha, Ltd., Japan), dried and then placed on Sabouraud agar plate spreading with C. albicans or placed on nutrient agar plate spreading with test bacteria or placed on PDA plate, each plate was then incubated with an agar block (8 mm diameter) containing mycelial mats of the fungi in the center of the plate (the paper discs were 2.2 cm from the fungi). Incubation condition was 37 °C for 24 h for bacteria and yeast and 30 °C for 72 h for fungi. Results of the qualitative screening were recorded as the average diameter of the inhibition zone surrounding the paper disks containing the test substances and were reported. Each treatment consisted of three replicates. The experiment was repeated twice. Minimum Inhibitory Concentrations (MICs): MICs of crude extract and purified compounds were determined by NCCLS microbroth dilution methods (National Committee for Clinical Laboratory Standards, 1997). The crude extract and purified compounds were dissolved in DMSO. A dilution suspension of bacteria and yeast was inoculated into each well of a 96-well microplate, each containing a different concentration of the test agents. We performed doubling dilutions of the test agents. The range of sample dilutions was 256 to 0.50 μg mL-1 in nutrient broth supplemented with 10% glucose (NBG) (for bacteria) or Sabouraud glucose broth (for yeast) and a final concentration of 1x105 cfu mL-1 of test bacteria or yeast was added to each dilution. The plates were incubated at 37 °C for 48 h. MIC was defined as the lowest concentration of test agent that inhibited bacterial or yeast growth, as indicated by the absence of turbidity. Test agent-free broth containing 5% DMSO was incubated as growth control. Minimum Microbicidal Concentration (MMC) was determined by inoculating onto nutrient agar plates (for bacteria) or Sabouraud agar plates (for yeast) a 10 mL of medium from each of the well from the MIC test which showed no turbidity. MMCs were defined as the lowest concentration of test agent where was no microbial growth on the plates. The fungal pathogen C. musae was tested for its response to the crude extract and purified compounds using a Potato Dextrose Agar (PDA) dilution technique. The purified compound (5.12 mg) was dissolved in DMSO (1 mL), then serially diluted two-fold to obtain final concentration ranges of 0.50-256 μg mL-1 in PDA. The medium (5 mL) was added to a 5 cm diameter Petri dish. An 8 mm diameter plug of the fungi, removed from the margin of a 4-day-old colony on PDA, was placed 1.5 cm from the edge of the plate. Linear growth of the fungi at 30 °C was recorded 2 days after treatment. Each treatment consisted of three replicates. The experiment was repeated twice. actinomycete isolates took at least 3 weeks to grow out from the tissues. If the tissue sterilization procedure used in this study was not sufficient to kill surface microbes, they would be expected to grow from specimens within a few days. Five hundred samples of the root tissues of Alpinia galanga yielded at least 120 endophytic microorganisms. In total 120 isolates were recovered, the majority of which were Streptomyces sp. (82), with the remainder identified as Nocardia sp. (11), Microbispora sp. (3), Micromonospora sp. (2). Eight isolates did not develop sporing structures, although meso-diaminopimelic acid was detected in whole cell extracts, confirming an actinomycete status and 14 were lost during subculture. The antimicrobial activity of endophytic actinomycete isolates is shown in Table 1. The majority of the isolates (>50) appeared not to produce secondary metabolites which displayed antimicrobial activity against all of the test microorganisms. The remaining isolates could be divided into five categories according to the size of the growth-inhibition zones produced. This survey revealed that only a small number was strongly inhibitory to test bacteria and fungi. In a similar study, Sardi et al. (1992) obtained ca. 500 isolates from the roots of 13 plant species and most of these were Streptomyces sp. They classified these isolates into 72 groups based on their characteristics. After testing antimicrobial activity of 10 groups against Micrococcus luteus and Fusarium oxysporum, then found that all groups had antimicrobial activity against one or the other organisms, but not to both. Thus most of their isolates had a narrow antimicrobial spectrum. From the present study results of in vitro antimicrobial activity (Table 1), only two endophytic actinomycetes isolates had a strong potential of antimicrobial activity to S. aureus, E. coli, P. aeruginosa, B. subtilis, C. albicans and C. musae. These results demonstrated that some of endophytic actinomycetes have the potential for inhibiting the growth of tested microorganisms. An endophyte designated actinomycete Tc052 was of great interest, because of its potent antimicrobial activity. Morphological observation of 3-day-old cultures of Tc052 grown on ISP-2 medium revealed that sporophores to be monopodially branched and flexuous, producing open spirals of oval-shaped spores (1x1.5 μm) with smooth surfaces (Fig. 2 ). The substrate mycelium was extensively branched with non-fragmenting hyphae. The aerial mycelium was white changing to ash-grey with yellow soluble pigment occasionally discernible. Based on results in morphological observation (light microscopy and scanning electron microscopy) as well as on the presence of LL-diaminopimelic acid in the whole-cell extract, endophytic actinomycete Tc052 was identified as belonging to the genus Streptomyces. Structure elucidation: Purification of A-4 fraction using 16-20% MeOH in CHCl3 afforded 37 mg of compound 1 and 18 mg of compound 2 and purification of A-5 fraction using 12-16% MeOH in CHCl3 afforded 52 mg of compound 3 and 22 mg of compound 4. 164.4 (C-5), 99.5 (C-6), 168.0 (C-7), 92.3 (C-8), 149.5 (C-9), 107.8 (C-10), 125.3 (C-1`), 130.9 (C-2`), 116.1 (C-3`), 158.6 (C-4`), 116.1 (C-5`), 130.9 (C-6`). Compound 2: Dark yellow crystals, m.p. 300-301 °C. UV λmax(MeOH): 282, 332 nm. Degradation occurs with all shift reagents. EIMS m/z (rel. abund. %): 286 (100) [M+, C15H10O6], 258 (47), 257 (9), 168 (80), 140 (52), 118 (38), 112 (5.4). 1H NMR (δ, CD3OD): 7.06 (2H, d, J = 8.5 Hz, H-2`, H-6`), 6.77 (2H, d, J = 8.5 Hz, H-3`, H-5`), 6.08 (1H, s, H-3), 5.59 (1H, s, H-6). Compound 3: Colorless needles, m.p. 228-229 °C. It showed intense blue fluorescence under UV lamp and gave a negative Molisch`s test. EIMS m/z (rel. abund. %): 162 (8) [M+, C9H6O3], 149 (25), 138 (13), 121 (7), 110 (100), 94 (90), 81 (41), 66 (75), 55 (89). 1H NMR (δ, CDCl3 + CD3OD): 7.59 (1H, d, J = 15.8 Hz, H-4), 7.07 (1H, br.s, H-8), 6.97 (1H, br.d, J = 8.1 Hz, H-6), 6.80 (1H, d, J = 8.1 Hz, H-5), 6.30 (1H, d, J = 15.8 Hz, H-3). 13C NMR (δ, CDCl3 + CD3OD): 167.3 (C-2), 114.5 (C-3), 144.8 (C-4), 147.7 (C-4a), 114.7 (C-5), 121.2 (C-6), 144.2 (C-7), 113.4 (C-8), 145.3 (C-8a). Compound 4: Transparent prisms, m.p. 215-216 °C. It showed intense blue fluorescence under UV lamp and gave a positive Molisch`s test. UV λmax(MeOH): 234, 289, 347 nm, (MeOH + NaOMe): 249, 306, 390 nm, (MeOH + AlCl3): 234, 289, 347 nm, (MeOH + AlCl3 + HCl): 234, 289, 347 nm, (MeOH + NaOAc): 252, 282, 352 nm. EIMS m/z (rel. abund. %): 340 (2) [M+, C15H16O9], 320 (2), 293 (72), 179 (90), 178 (97), 167 (90), 149 (100), 127 (68), 97 (56). 1H NMR (δ, CDCl3 + CD3OD): 7.72 (1H, d, J = 9.5 Hz, H-4), 7.11 (1H, s, H-8), 6.94 (1H, s, H-5), 6.19 (1H, d, J = 9.4 Hz, H-3), 4.88 (1H, d, J = 7.3 Hz, H-1`), 3.31-3.85 (m, 6H, H-2`-H-6`). 13C NMR (δ, CDCl3 + CD3OD): 163.0 (C-2), 114.1 (C-3), 144.9 (C-4), 141.3 (C-4a), 113.3 (C-5), 148.9 (C-6), 149.8 (C-7), 104.7 (C-8), 149.99 (C-8a), 102.4 (C-1`), 76.0 (C-2`), 77.8 (C-3`), 74.0 (C-4`), 78.0 (C-5`), 61.7 (C-6`). Compounds 1, 2, 3 and 4 were identified as kaempferol (Markham et al., 1978), isoscutellarin (Jay and Gonnet, 1973), umbelliferone (Yamoguchi, 1970) and cichoriin (Abdel-Salam et al., 1986), respectively by comparing their spectral data with those previously published (Fig. 3 ). Results of the antimicrobial screening indicated that, the crude extract showed a wide range of activity, being effective against bacteria, yeast and fungi. Kaempferol and isoscutellarin showed strong activity against Gram positive bacteria (S. aureus and B. subtilis), while umbelliferone and cichoriin showed moderate activity. Kaempferol and isoscutellarin exhibited moderate activity against Gram negative bacteria (E. coli and P. aeruginosa), while umbelliferone and cichoriin showed weak activity. Kaempferol, isoscutellarin and umbelliferone showed strong activity against C. albicans and moderate activity against C. musae, while cichoriin showed no activity against C. albicans and C. musae (Table 2). The antibacterial and antifungal activities of the crude extract and purified compounds were evaluated and the results are shown in Table 3. In general, there were differences in growth inhibition between compounds on various microbial cultures. The crude extract and purified compounds showed both antibacterial and anticandidal activities at tested MIC and MMC limit of 256 μg mL-1 (Table 3). The MIC values obtained with the crude extract varied from 64-128 μg mL-1 to tested microorganisms. For compounds isolated from the crude extract, the MIC values lower or equal to 128 μg mL-1 were obtained with compounds 1, 2 and 3 on all tested microbial species (100%), compound 4 on 1 (16.66%) of the tested microbial species. Regarding the degree of activity of compounds isolated from the crude extract, the lowest MIC value (16 μg mL-1) was noted with compound 1 on S. aureus and C. albicans, compound 2 on C. albicans. The results of the MMC determinations indicated that the MMC values lower or equal to 256 μg mL-1 were observed with crude extracts on S. aureus and C. albicans (40%). Within this tested interval (0.50-256 μg mL-1), the MMC values were obtained with compound 1 (100%), 2 (80%) and 3 (40%) of the tested microorganisms. The results of the MMC determinations indicated that cidal effect of many of the tested sample could be expected. However, a keen look of the results of MIC and MMC, showed that the MIC values obtained are two-three times lesser than MMCs on corresponding microorganisms, confirming the microbicidal effects of the concerned samples (Carbonnelle et al., 1987). known to possess antifungal, anticancer and antioxidant activities (Yang et al., 2001; Wang et al., 2006). Kaempferol was a markedly active inhibitor of transcriptional activation of COX-2 (Liang et al., 1999) and have inhibitory activity against melanin synthesis (Lim et al., 2006) and antibacterial activity against an acne-inducing agent (Propionibacterium acnes) with MIC values in the range <32-64 μg mL-1 (Lim et al., 2007) and against Vibrio cholerae and Enterococcus faecalis, with MIC values in the range of 25-50 μg mL-1 (Martini et al., 2004). While umbelliferone was weakly active against Mycobacterium fortuitum and Mycobacterium tuberculosis (Figueroa et al., 2007). 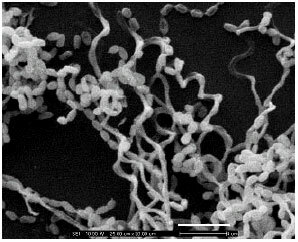 Present study is the first in which kaempferol, isoscutellarin, umbelliferone and cichoriin from culture of an endophytic Streptomyces species was isolated from the root tissue of Alpinia galanga and we confirm their antimicrobial activity against Staphylococcus aureus ATCC25932, Escherichia coli ATCC10536, Pseudomonas aeruginosa ATCC27853 Bacillus subtilis ATCC6633 Candida albicans ATCC90028 and Colletotrichum musae. As stated in several reports, Streptomyces activity in plants not only protects against pathogens, but the metabolic products of Streptomyces also influence plant growth and physiology (Katznelson and Cole, 1965; Mishra et al., 1987). As kaempferol, isoscutellarin, umbelliferone and cichoriin has been isolated from endophytic Streptomyces sp. Tc052 and their antimicrobial activity was observed. These results indicated that some endophytic actinomycetes were potent for protection their host from phytopathogenic microorganisms. This research was supported by Thailand Research Fund MRG5180173. The authors are grateful to Mr. Y.N. He and Ms. H.L. Liang in Kunming Institute of Botany (KIB), Chinese Academy of Sciences, for measuring NMR and MS data, respectively. Abdel Salam, N.A., Z.F. Mahmoud and F.K. Kassem, 1986. Sesquiterpene lactones, coumarins and flavonoids of Launaea tenuiloba Boiss grown in Egypt. J. Pharm. Sci., 27: 275-282. Bai, Y., F.D. Aoust, D.L. Smith and B.T. Driscoll, 2002. Isolation of plant-growth-promoting Bacillus strain from soybean root nodules. Can. J. Microbiol., 48: 230-238. Boone, C.J. and L. Pine, 1968. Rapid method for characterization of actinomycetes by cell wall composition. Applied Microbiol., 16: 279-284. Carbonnelle, B., F. Denis, A. Marmonier, G. Pinon and R. Vague, 1987. Bacteriologie Medicale: Techniques Usuelles. SIMEP, Paris, ISBN: 2-85334-276-X. Castillo, U., J.K. Harper, G.A. Strobel, J. Sears and K. Alesi et al., 2003. Kakadumycins, novel antibiotics from Streptomyces sp. NRRL 30566, an endophyte of Grevillea pteridifolia. FEMS Microbiol. Lett., 224: 183-190. Castillo, U.F., G.A. Strobel, E.J. Ford, W.M. Hess and H. Porter et al., 2002. Munumbicins, wide-spectrum antibiotics produced by Streptomyces NRRL 30562, endophytic on Kennedia nigriscans. Microbiology, 148: 2675-2685. Erazo, S., R. Garcia, N. Backhouse, I. Lemus, C. Delporte and C. Andrade, 1997. Phytochemical and biological study of Radal Lomatia hirsuta (Proteaceae). J. Ethnopharmacol., 57: 81-83. Ezra, D., U.F. Castillo, G.A. Strobel, W.M. Hess and H. Porter et al., 2004. Coronamycins, peptide antibiotics produced by a verticillate Streptomyces sp. (MSU-2110) endophytic on Monstera sp. Microbiology, 150: 785-793. Figueroa, M., I. Rivero-Cruz, B. Rivero-Cruz, R. Bye, A. Navarrete and R. Mata, 2007. Constituents, biological activities and quality control parameters of the crude extract and essential oil from Arracacia tolucensis var. multifida. J. Ethnopharmacol., 113: 125-131. Gafner, S., C. Bergeron, L.L. Batcha, J. Reich, J.T. Arnason, J.E. Burdette, J.M. Pezzuto and C.K. Angerhofer, 2003. Inhibition of [3H]-LSD binding to 5-HT7 receptors by flavonoids from Scutellaria lateriflora. J. Nat. Prod., 66: 535-537. Grayer, R.J., N.C. Veitch, G.C. Kite, A.J. Paton and P.J. Garnock-Jones, 2002. Scutellarein 4’-methyl ether glycosides as taxonomic markers in Teucridium and Tripora (Lamiaceae, Ajugoideae). Phytochemistry, 60: 727-731. Jay, M. and J. F. Gonnet, 1973. Isoscutellareine isolee de Pinguicula vulgaris. Phytochemistry, 12: 953-954. Katznelson, H. and S.E. Cole, 1965. Production of gibberellin-like substances by bacteria and actinomycetes. Can. J. Microbiol., 11: 733-741. Liang, Y.C., Y.T. Huang, S.H. Tsai, S.Y. Lin-Shiau, C.F. Chen and J.K. Lin, 1999. Suppression of inducible cyclooxygenase and inducible nitric oxide synthase by apigenin and related flavonoids in mouse macrophages. Carcinogenesis, 20: 1945-1952. Lim, Y.H., I.H. Kim and J.J. Seo, 2007. In vitro activity of kaempferol isolated from the Impatiens balsamina alone and in combination with Erythromycin or Clindamycin against Propionibacterium acnes. J. Microbiol., 45: 473-477. Lim, Y.H., I.H. Kim, J.J. Seo and J.K. Kim, 2006. Tyrosinase inhibitor from the flowers of Impatiens balsamina. J. Microbiol. Biotechnol., 16: 1977-1983. Markham, K.R., B. Ternal, R. Staniy, H. Geigerand and T.J. Mabry, 1978. Carbon-13 NMR studies of flavonoids-III, Naturally occurring flavonoid glycosides and their acetylated derivatives. 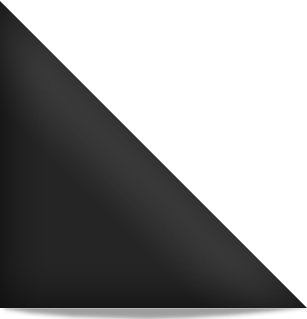 Tetrahedron, 34: 1389-1397. Martini, N.D., D.R.P. Katerere and J.N. Eloff, 2004. Biological activity of five antibacterial flavonoids from Combretum erythrophyllum (Combretaceae). J. Ethnopharmacol., 93: 207-212. Milovanovic, V., N. Radulovic, Z. Todorovic, M. Stankovic and Stojanovic, 2007. Antioxidant, antimicrobial and genotoxicity screeningof hydro-alcoholic extracts of five Serbian Equisetum species. Plant Foods Hum. Nutr., 62: 113-119. Mishra, S.K., W.H. Taft, A.R. Putnam and S.K. Ries, 1987. Plant growth regulatory metabolites from novel actinomycetes. J. Plant Growth Regul., 6: 75-83. NCCLS, 1997. Reference Method for Broth Dilution Antifungal Susceptibility Testing of Yeasts; Approved Standard. 2nd Edn., NCCLS Document M27-A2. The National Committee for Clinical Laboratory Standards, Wayne, Pennsylvania, USA. Otoguro, M., M. Hayakawa, T. Yamazaki and Y. Iimura, 2001. An integrated method for the enrichment and selective isolation of Actinokineospora spp. in soil and plant litter. J. Applied Microbiol., 91: 118-130. Sardi, P., M. Saracchi, S. Quaroni, B. Petrolini, G.E. Borgonovi and S. Merli, 1992. Isolation of endophytic Streptomyces from surface-sterilized roots. Applied Environ. Microbiol., 58: 2691-2693. Shimizu, M., Y. Nakagawa, Y. Sato, T. Furumai and Y. Igaroshi et al., 2000. Studies on endophytic actinomycetes (I) Streptomyces sp. isolated from Rhododendron and its antifungal activity. J. Genet. Plant Pathol., 66: 360-366. Taechowisan, T. and S. Lumyong, 2003. Activity of endophytics actinomycetes from roots of Zingiber officinale and Alpinia galanga against phytopathogenic fungi. Ann. Microbiol., 53: 291-298. Taechowisan, T., C. Lu, Y. Shen and S. Lumyong, 2005. 4-Arylcoumarins from endophytics Streptomyces aureofaciens CMUAc130 and their antifungal activity. Ann. Microbiol., 55: 63-66. Taechowisan, T., J.F. Peberdy and S. Lumyong, 2003. Isolation of endophytic actinomycetes from selected plants and their antifungal activity. World J. Microbiol. Biotechnol., 19: 381-385. Wang, L., Y.C. Tu, T.W. Lian, J.T. Hung, J.H. Yen and M.J. Wu, 2006. Distinctive antioxidant and anti-inflammatory effects of flavonols. J. Agric. Food Chem., 54: 9798-9804. Yamaguchi, K., 1970. Spectral Data of Natural Products, Vol. 1. 1st Edn., Elsevier Publishing Co., Amsterdam, London, New York. Yang, X., D.K. Summerhurst, S.F. Koval, C. Ficker, M.L. Smith and M.A. Bernards, 2001. Isolation of an antimicrobial compound from Impatiens balsamina L. using bioassay-guided fraction. Phytother. Res., 15: 676-680.